Enjoy up to $200 OFF per couple! Explore Tasmania's Nature & Wildlife, Arts & Culture and their exciting food scene! 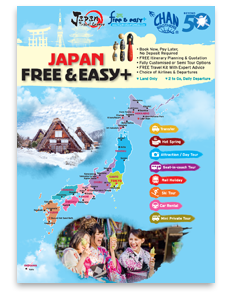 Your one stop solution to travelling Japan. Travel from Tokyo to Hokkaido, or Kyoto to Okinawa- we'll have you covered from point to point. Let New Zealand’s natural wonders frame your holidays fr $1158 (land only)!